Administrators have to have fun to and restoring negatives and slides is fun to do once in awhile. 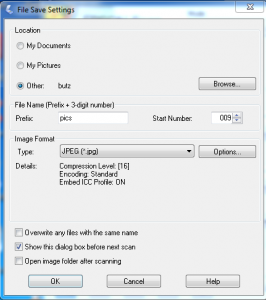 In this post we will cover how to scan 127mm slides using the Epson Scan Utility on the Epson Perfection Photo 4490 scanner. 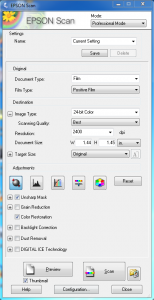 For Document type select Film and for Film Type select Positive Film. 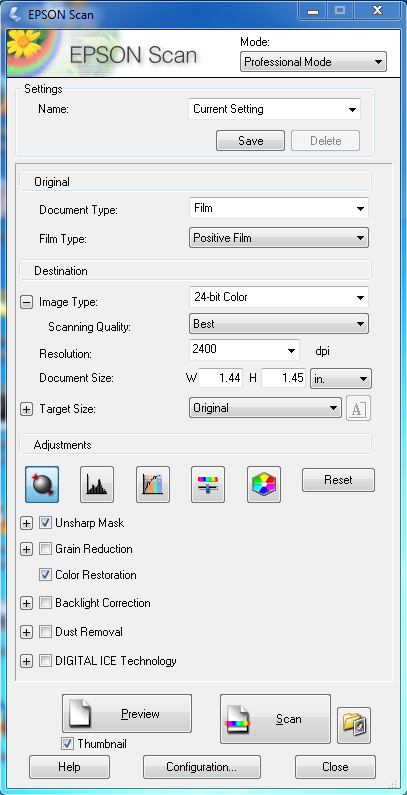 The next settings are at your preference, but if you want good prints then select at least 2400 dpi for the resolution. Set the document size to W 1.45 x H 1.45 in. 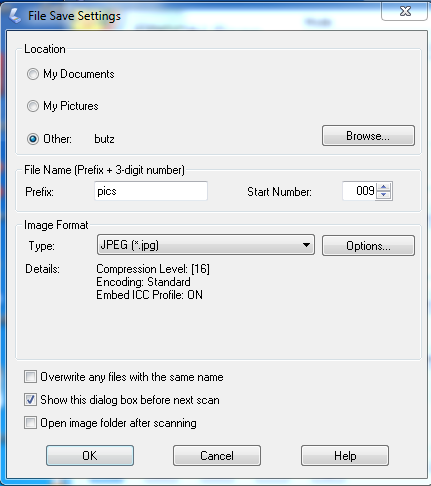 Once you have the settings you want click Preview and after he preview scan is complete you have the option to set the settings for each slide, be aware that adding DIGITAL ICE will add to the scan time but if you are doing digital archiving, it is worth it. Choose from the following. Once you are done with your selections click Scan and save the slides.